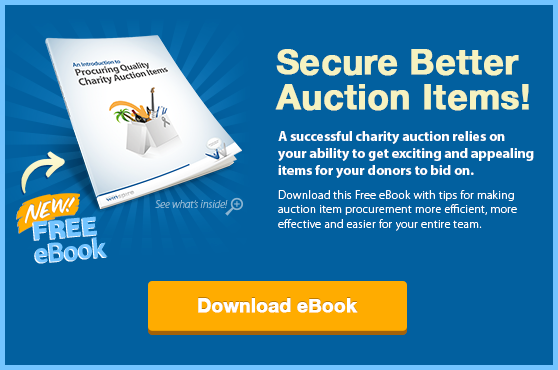 As nonprofits are diving into fall fundraising season, let's keep the focus on increasing auction revenue by discussing an essential live auction technique: the Double Up. This effective strategy allows you to double, triple or quadruple profit from a single item. Best of all, it doesn't take any extra effort procuring more items. Whether you're new to live auctions, are considering using an auctioneer or would like background to discuss with your auctioneer, mastering the Double Up could pay huge dividends in the night's success. Read on for best practices in using this technique, plus view a short video from professional benefit auctioneer Danny Hooper explaining the process. 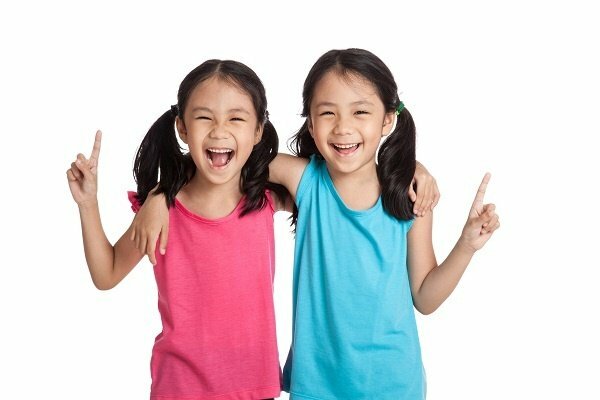 The Double Up: What is it? With most tangible donations (like a donated case of wine, flat screen TV, signed jersey and so forth), the prize can only go to the highest bidder. This exclusivity is needed to foster competition and drive up bid prices. Something important to consider: All high quality, desirable auction item—the only kind of item that should be in a live auction—generate plenty of interest among more than one bidder. For illustration's sake, let’s say we have 10 live auction items that sell for an average of $5,000 apiece. Those are your successful bidders. With their winning bids, you’ve collected $50,000! Now what about those second high bidders: those that dropped off at, say, $4,500? Multiplied by 10 items, that’s $45,000 that people were holding their hands up just a moment earlier to give your organization... $45,000 that walks away at the end of the night if nothing else catches their eye. 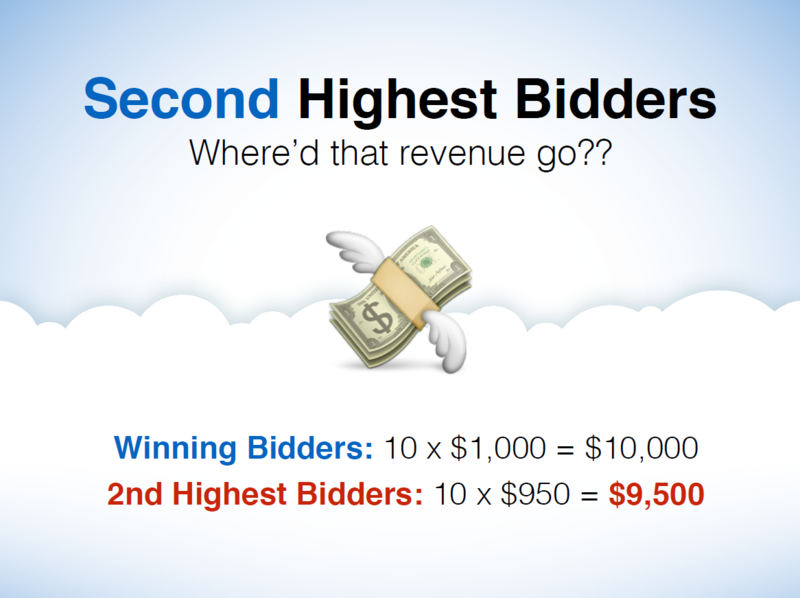 The Double Up is one way to capture dollars from those second- and third-high bids. 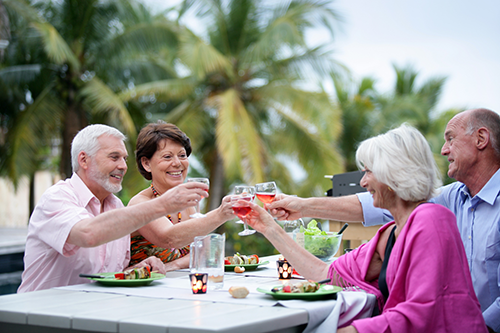 Let's say you have procured a wonderful dinner package to a 5-star restaurant. The dinner for four includes wine with each course. Of course a dinner party of this caliber generates plenty of buzz. In the live auction, bidding between three interested couples reaches $2,000. The third bidder drops out at $2,300, then after some back-and-forth, the second drops out at $2,500. The first bidder is thrilled. This is where the fundraising auctioneer turns toward the second and third high bidders and says, "Sir and ma’am, if we could get you an identical package at the restaurant, would you consider matching the first bidder’s price of $2500 and taking an identical package?" Now the bidder is considering not only the overall price of the package but also the difference between what they were willing to spend and the price of a guaranteed win: "It's just another couple hundred bucks". And if you are able to successfully keep the focus on fundraising throughout the night, bidders will be in the right mindset to support your cause. Fundraising auctioneers estimate second high bidders accept this offer 9 times out of 10, so it's certainly worth a try! How do you procure items that can be sold more than once? Do we have to obtain two or three of every item? Our suggestion: When you’re out procuring auction items, ask each donor about the possibility of a multiple sale. You can say something like, "Mr. Smith, thank you so much for donating this incredible restaurant package. If we happen to have a real lightning strike at our auction and are able to sell this restaurant package at a very high price, would you consider donating a second identical dinner?" The donor can say one of two things: yes or no. If they say yes, congratulations! Rest assured that you’ve set yourself up perfectly to double your profits, plus the donor isn't tied down to necessarily donating twice as much as they expected. While your organization may have to pay $1000 for each dinner, you still pocket a handsome profit of $1500—and leave two or three donors happy and eager to support next year's event. This technique works especially well if the vendor or donor of the item is actually in the room. When donors are at the event, oftentimes they're caught up in the excitement, so it's an opportune time to ask. Do so gently and politely so as not to intimidate or embarrass them: "Folks, we don't want to put you on the spot, we just thought we would ask: We have several donors going crazy over your incredible item. Would it be possible to procure a second dinner?" Nearly every time, they'll agree. No-risk, big-ticket consignment items like Winspire travel Experiences are perfect for capturing second high bids. All of our packages are offered on a no-risk basis, so you don't pay anything to put them in your event. We recommend putting a reserve price or starting bid price at 20% above the package cost, so you're guaranteed a significant return. Then, if the item generates interest, you can sell nearly every Experience as many times as you need. You can also sell a single package to large groups, so everyone can go on the same wine tour, Tuscany culinary excursion or safari together. By selling to multiple bidders, you're doubling, tripling, quadrupling your revenue on that single item, and it's no extra time on your hands as the organizer. 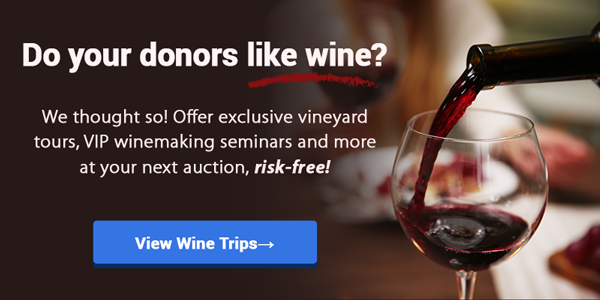 Another great way to build profits from your auction: securing more event sponsorships to cover costs! 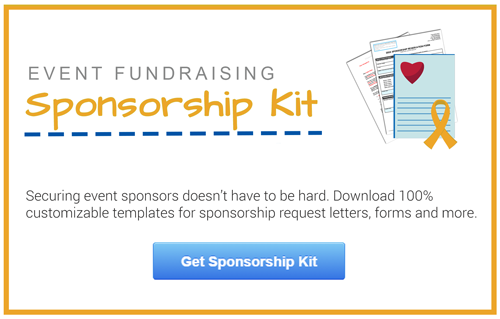 Click below to get our free templates for sponsorship request letters, thank you letters, registration forms and a quick guide to better sponsorships.